Crowborough IT company Newman Business Solutions have heralded their recent charity golf day in aid of Hospice in the Weald a success. 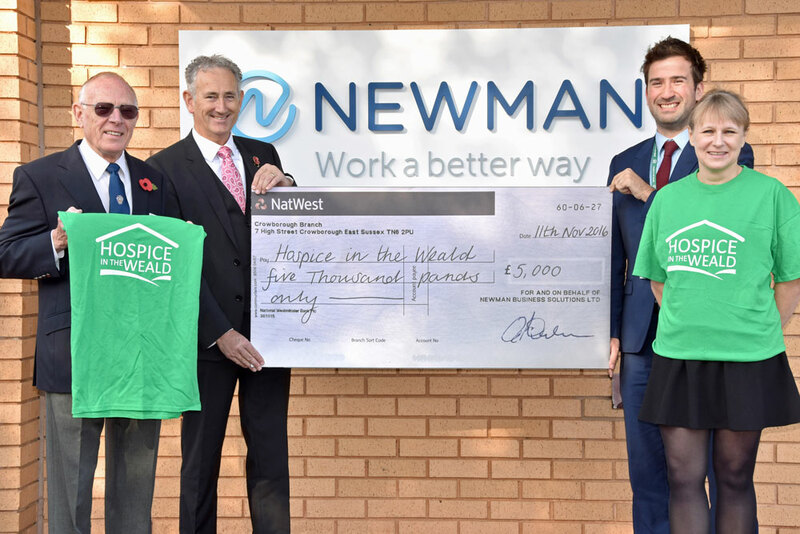 From Left to Right: Hospice in the Weald Ambassador David Briggs; Managing Director Andrew Deadman of Newman Business Solutions; Hospice in the Weald Deputy Fundraising Director Ben Alonso; Newman Employee Lorna Gander (whose father was an in-patient at Hospice in the Weald). Over 30 local businesses took to the fairways at Sweetwoods Park Golf club to battle it out on the course to raise much needed funds to help families in the Weald area cope with some of the toughest times of their lives. Hospice in the Weald is a charity close to our hearts, as a family business and a local employer we have appreciated first-hand how valuable the work of Hospice in the Weald is to easing the pain at a difficult time. 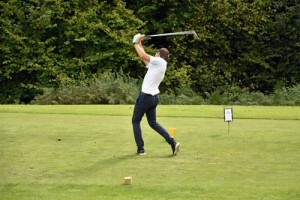 We hoped that by holding a fun Golf day it would raise awareness of the work the hospice do and help them to continue to deliver specialist care, support, rehabilitation and training. Newman Business Solutions, which is based on Farningham Road, specialises in integrating managed print services, IT services & support. 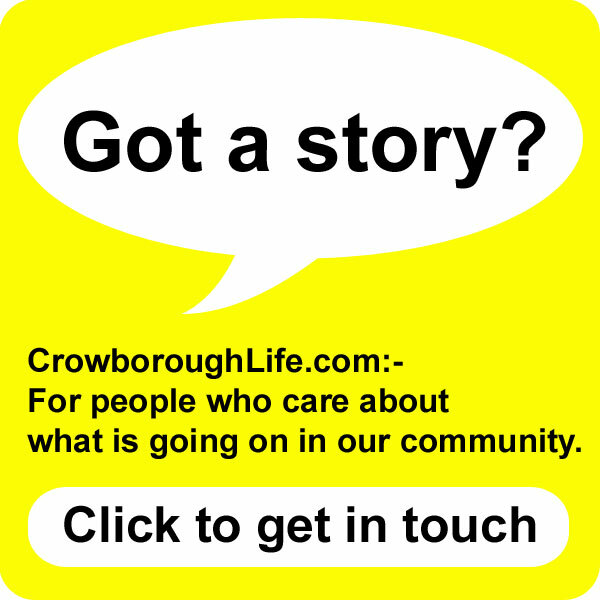 The company also has a print & copy centre on the Broadway in Crowborough. 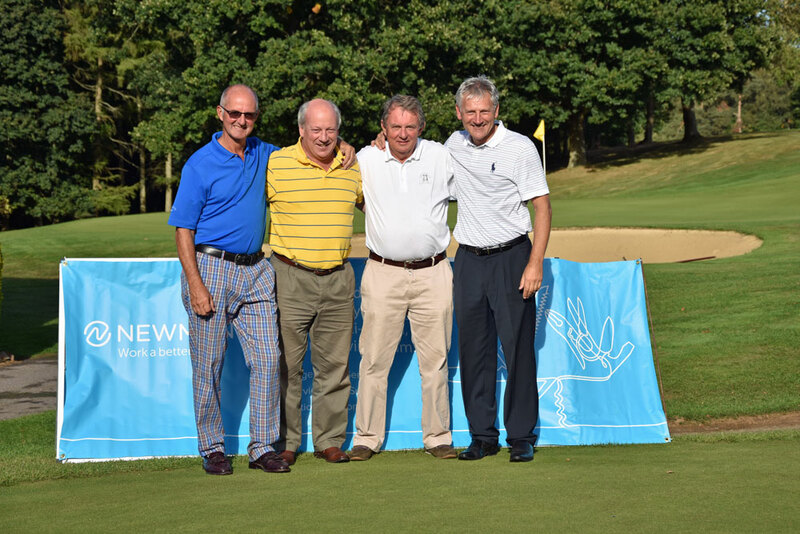 The Golf day raised £5,000 for Hospice in the Weald who strive to ensure that the community has access to compassionate, individualised, holistic and supportive care for all patients with a terminal illness, their families and carers. The representative of Hospice in the Weald, David Briggs who attended the event said the hospice were “incredibly grateful for the generosity of all involved in the day”. It was incredibly close, with just two points separating us from second place. We had a great day, amongst great players, in a well-run event with the personal touch delivered successfully by Newman… we all had a fantastic time. We are incredibly grateful for all the support given to the event especially our sponsors: Trade Paints, Jigsaw, DLL, Sharp, Brother, Kyocera, Page & Wells, Wood & Pilcher, Redwing Roofing. We look forward to hosting another event next year. The vision of Newman is to help organisations streamline their office processes, encouraging greater efficiency through an integrated range of IT, managed print services and speech processing solutions that enable companies to work in a better way.